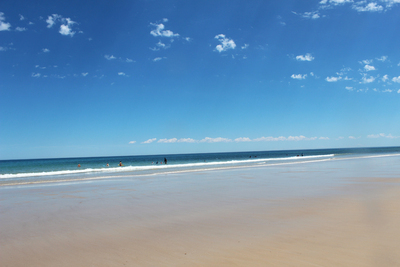 Moana Beach is about 45 minute drive from the centre of town, but even if you're not a local, consider driving down during Summer. It doesn't have the built up shops and cafes of Glenelg, but the long sandy stretches are well worth the drive. 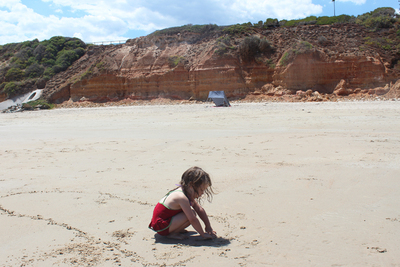 Moana is one of the only beaches in Adelaide where you can drive your car onto the sand. You don't have to park far away and drag moaning kids a long distance back to the car, and you're not battling other drivers for a spot in the car park. You can keep all your things in the car while you enjoy the beach. 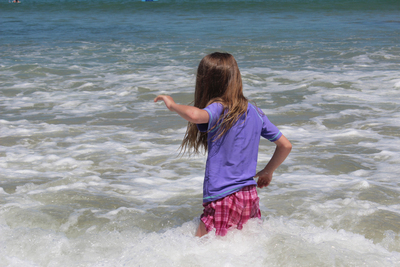 Small waves are frequent, so it's a great place to bring down the boogie boards. Even if you don't have one, jumping into the waves as they crash can create hours of fun. The surf life saving club is by the meeting of Nashwauk Crescent and the Esplanade, so stick around this area to make sure you swim between the flags. A couple of hundred metres north is the Moana Dog Beach. Here dogs can run around off leash, as long as they're controlled. It's great if your family pet loves getting wet in the waves. 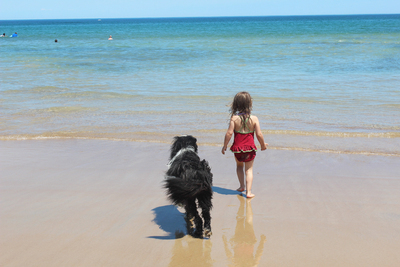 If your kids are a little unsure around dogs, it's best staying south of the dog beach signpost. You can go exploring along the beach and tip toe through the rock pools at the northern end, or head through the sand dunes of the Moana Sands Conservation Park to the south. Keep an eye out for snakes in the sand dunes or any critters living in the rockpools. 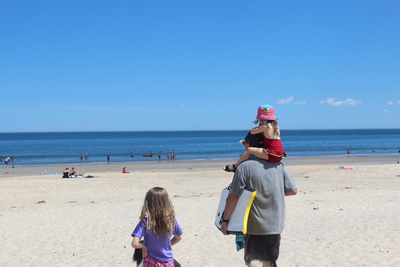 Kids will also love going up the beach collecting rocks and shells to decorate sandcastles. Deep Blue Cafe is one of the only places where you can buy food nearby. They offer dine in and takeaway, and as the 4-year-old liked to inform me, they sell ice blocks. If you're driving then you can always pick up food for a picnic at the Seaford Central. 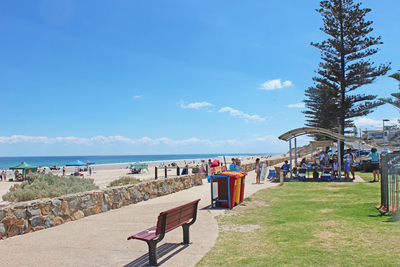 There are picnic tables and sheltered areas along the esplanade, as well as showers, toilets, and taps. So that you can clean yourself off afterwards. Unfortunately the amount of sand that builds up around the showers means that after you've washed your feat clean, you'll just step in more sand anyway. 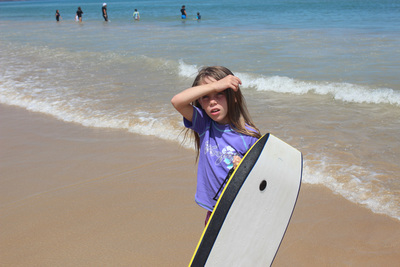 If you want to spend a bit more time down at Moana you can rent a camp site or cabin at the Moana Beach Tourist Park. It's located right next to the Moana Park Playground, and its back gate opens up to the beach. During winter the beach is empty, but outside of daylight saving the entire beach becomes leash-free for dogs and kids still love building sand castles if it's not too windy.